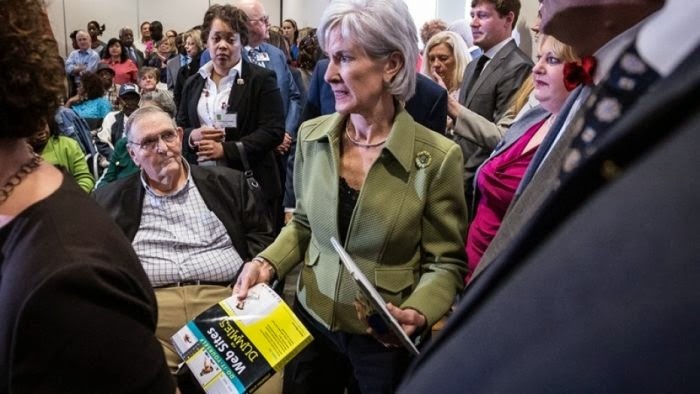 Tennessee state senator Brian Kelsey (R) presented the invaluable book "Websites for Dummies" to HHS Secretary Kathleen Sibelius. She needed it in 2010. Better get started. Photo found at American Thinker.